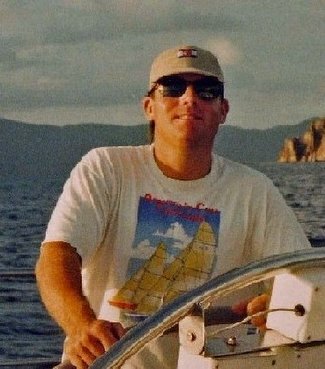 I almost sunk off of Puerto Rico in 1999. We were on our way back from St. Thomas on the S/V Javelin (77’ Frers maxi) with a delivery crew, bound for Annapolis, MD and there was no wind. So we were motoring on the first night, moonless, flat and black. I came off watch at 2300 and bunked down, had not been asleep for much more than an hour when my captain, Tom Motley, came barging into my cabin with a flashlight, grabbed me by my shoulder and pulled me out of the bunk onto the floorboards. I splashed. That’s never a good sign. We were nearly 100 miles (160 km) northwest of Puerto Rico, floating above the deepest point in the Atlantic Ocean, the Milwaukee Depth which lies within the Puerto Rico Trench, at a depth of 27,493 feet (8,380 meters) in the western end of the trench. Did I mention that Javelin had an aluminum hull? Stay tuned to the blog for details on how we survived that fateful night.